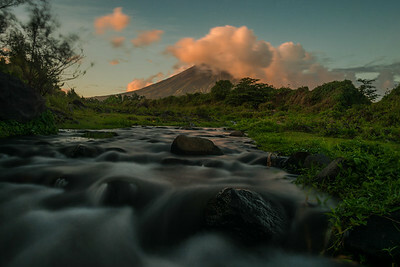 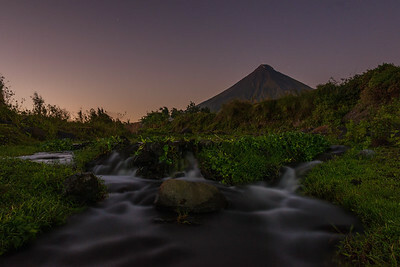 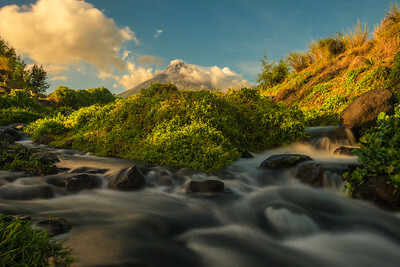 Mayon volcano near Legazpi, shot at and near the Cagsawa ruins. 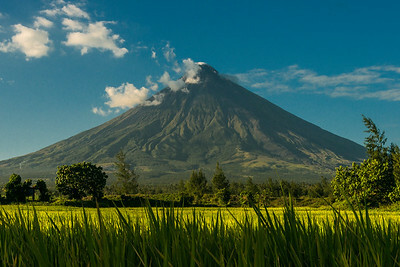 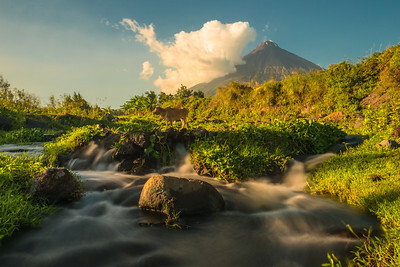 Mt Mayon is the most active volcano of the country of one of worlds most iconic volcanoes thanks to its perfect cone shape. 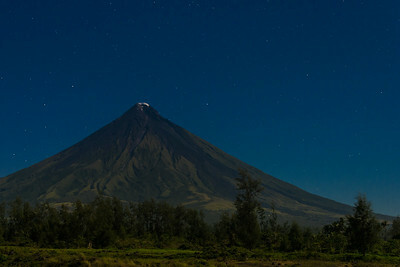 While I was shooting My Mayon, all of a sudden this rainbow appeared, with the full moon right in the middel of it. 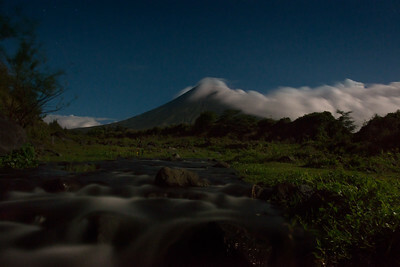 Unfortunately the clouds are in the way of it and you can barely see it. 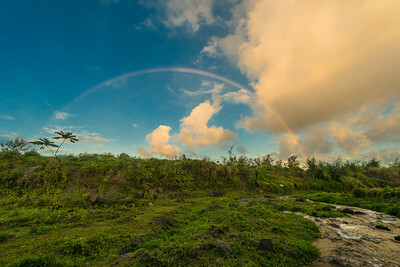 By the time the clouds had moved away a bit, the rainbow was almost gone already.